April 27, 2014 Series: YES! Hebrews 10:19-20 Dear brothers and sisters, we can boldly enter heaven’s Most Holy Place because of the blood of Jesus. By his death, Jesus opened a new and life-giving way. 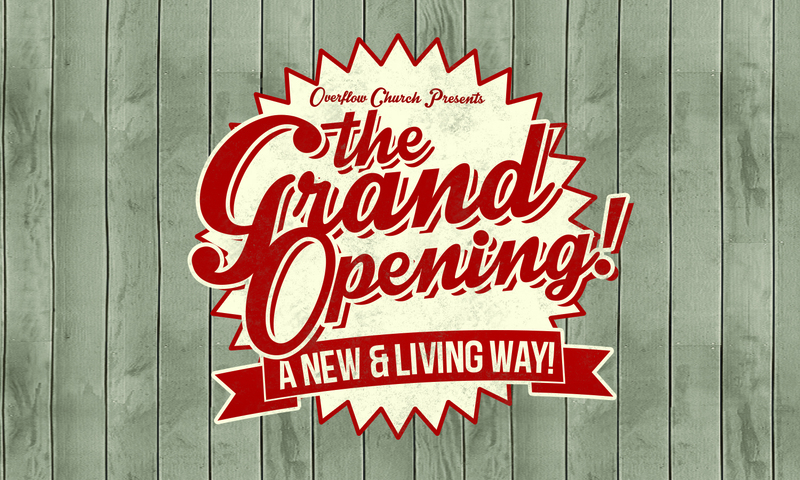 The opening of a new and living way. The Reality: The Life giving way is found in connection with God. The Solution: Jesus is the connection. Isaiah 53:6 We all, like sheep, have gone astray, each of us has turned to our own way; and the LORD has LAIN ON HIM the iniquity of us all. 2 Timothy 1:8-10 …We can only keep on going, after all, by the power of God, who first saved us and then called us to this holy work. We had nothing to do with it. It was all his idea, a gift prepared for us in Jesus long before we knew anything about it. But we know it now. Since the appearance of our Savior, nothing could be plainer: death defeated, life vindicated in a steady blaze of light, all through the work of Jesus. John 11:25 "I am the resurrection and the life"
John 10:9-10 I am the door. If anyone enters by Me, he will be saved, and will go in and out and find pasture. The thief does not come except to steal, and to kill, and to destroy. I have come that they may have life, and that they may have it more abundantly. John 14:6 “I am the way, the truth, and the life.” No one can come to the Father except through me. Romans 3: 22-25 We are made right with God by placing our faith in Jesus Christ. And this is true for everyone who believes, no matter who we are. For everyone has sinned; we all fall short of God’s glorious standard. Yet God, with undeserved kindness, declares that we are righteous. He did this through Christ Jesus when he freed us from the penalty for our sins. For God presented Jesus as the sacrifice for sin. People are made right with God when they believe that Jesus sacrificed his life, shedding his blood. April 13, 2014 Series: YES! April 06, 2014 Series: YES!